SPECIFIC EXCHANGE CONDITIONS Both, SCOPE and SCORE students must get a professional liability insurance for medical practice. Also, we need a police clearance report to do the practices. Andrea Alfonso, Jorge Gastaca y María Herrero . Alcalá de Henares is a mid-sized city that belongs to the Region of Madrid. It is really close to the capital but still a calmer and handy place to stay and enjoy. Alcalá is part of the 15 Spanish cities included in the UNESCO’s World Heritage cities list, mainly because of its History and remains, which include the original medieval disposition: three different neigbourhoods, being those the Jewish, Christian and Moorish ones, fact that made our city be known as the “city of three cultures”. 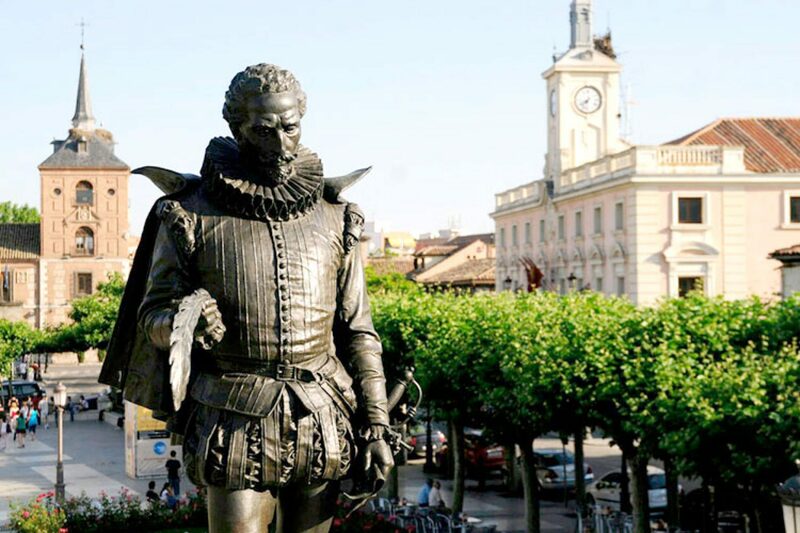 The city centre surrounds Cervantes Square, which takes its name from our main native figure, the writer Miguel de Cervantes, author of Don Quixote. Plus, as one of the first universities in Spain, Alcalá has a long tradition of thinkers and Scholars, whose stories and adventures are a part of the tour when visiting the town. Our Medicine campus is located around 20 minutes away from the centre by bus and just in front of one of our associated hospitals: Hospital Príncipe de Asturias. Here, four of our incoming students will be placed, in the most suitable places for them, depending both on the department of their choice and the availability of our Doctors to host them. In the months when we have more than four students we will provide the hosting of the rest of them in Madrid city centre and another of our associated hospitals, in this case, Hospital Ramón y Cajal, which has always been one of the top 10 hospitals in Spain according to statistics and rating. Again, it will be depending on the choice of the student and the availability of the head of department that we will be placing our incomings in one or another hospital. We are still working so research projects are avaliable soon. You will be staying in a student flat or dormitory most of the times, but we might also consider the host family in special circumstances. You will be given a pocket money consisting on 60€ that you will manage as you will. In case you would stay in a host family, you will be given a meal per day and all the equipment needed for you to cook. Tap water in Madrid is absolutely drinkable, so you don’t have to buy it! 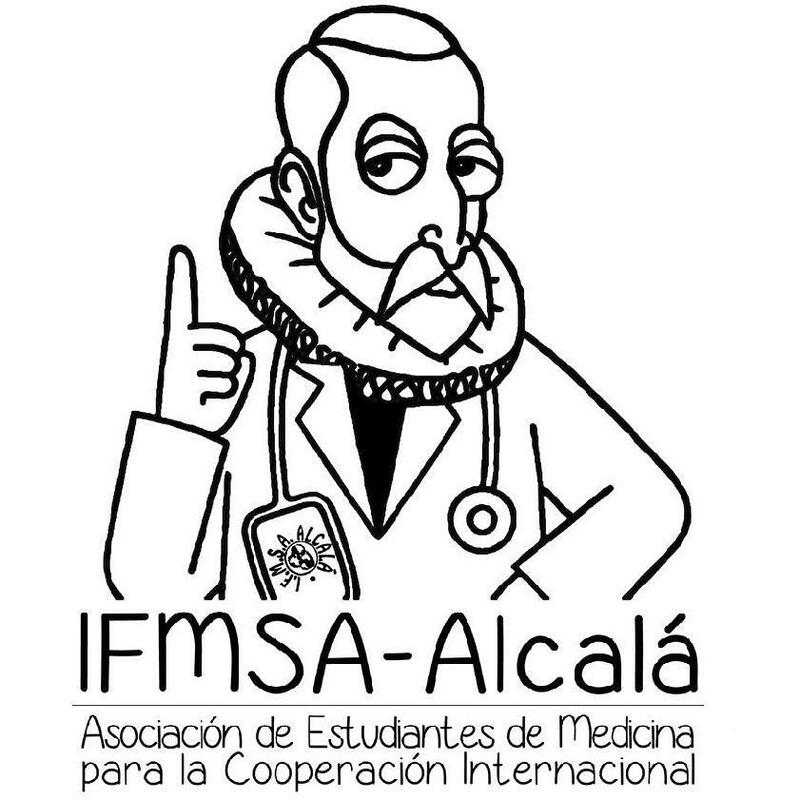 As we said, most of the times we will place you in a student flat with more of our IFMSA incomings as close as possible to the hospital you will have your internship in. They will be equipped with wifi connection, washing machine, microwave, fridge and anything you need for living. Sometimes you will be asked to leave a little deposit that will be given back to you at the end of the month. We encourage you to check that everything is in order when you arrive to your room or if not, tell your contact person as soon as possible. And, of course, if you have any doubts you can always contact you CP or us on the email. You will be taken from the airport or train station to the flat by your CP, who will also accompany you to the hospital for the first time. In any case, both hospitals are really well reachable by public transport. Before you arrive, we will make an appointment to get you Transport Card (which if you are under 26 costs 24€ and works for the whole month in the Region of Madrid and even further, including cities such as Toledo). Since everything is really well connected by public transport, we don’t recommend you to take taxis, which are really expensive and unnecessary most of the time. The underground is open from 6am to 1:30am, and trains are available until 11pm. But if you want to spend more time away from home, you also have buses during the whole night. Alcalá and Madrid have a wide range of leisure activities that we will tell you about all along the month, and try to organise and participate in them with you! We will also keep you in touch with the other incomings and LC of Madrid so we can all prepare some activities and trips. Everything will be done via facebook so it will be a very easy and useful tool. You can as well propose some activities and trips and we will try to help you as much as possible! One of the traditional activities is the national food and drink party (NFDP), consisting on cooking or bringing some typical products or dishes from your home country and share with all of the incomings and also the LC, since we will also cook for you. Alcalá is a very interesting city, rich in culture and History. You can visit the city centre, with the medieval walls of the city, the cathedral, the archaeological museum or the house of birth of Miguel de Cervantes, writer of Don Quixote to say a few. You can also buy some of the amazing sweets typical from our city.